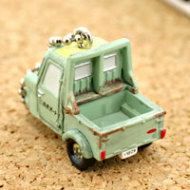 As Japan's society and economy struggles through yet another sluggish, post-boom decade, the nation looks back wistfully to a time when the future was bright, anything was possible and there was nowhere to go but up. The mood of those times was perfectly captured in the popular 2006 film "Always: Sunset on Third Street" and two well-received film sequels. 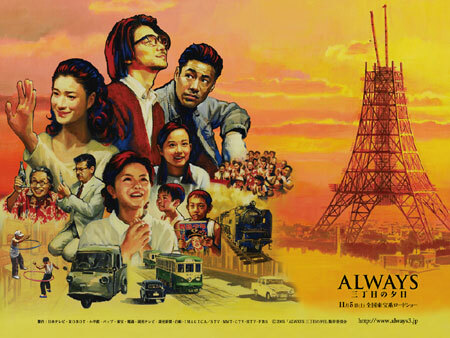 Poverty, sacrifice and heartbreak were the constant threads running through the characters' daily lives in a gritty Tokyo stll rebuilding from the devastation of war, but underlying it all was hope - the belief that things would get better. 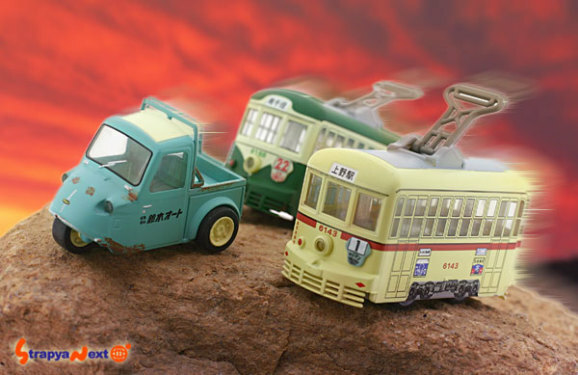 Meanwhile in the background, Tokyo Tower slowly rose over cramped neighborhoods and city streets plied by clattering electric trolley cars and curious three-wheeled trucks. 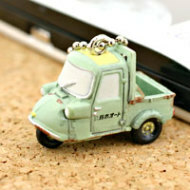 Today, nostalgic Japanese can relive their youth with friction miniatures and cellphone lanyards & charms of the nearly-forgotten vehicles featured in the "Always" films. 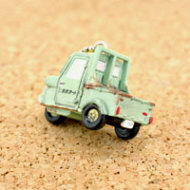 The friction models are precisely detailed down to the lettering, license plates and even rust! 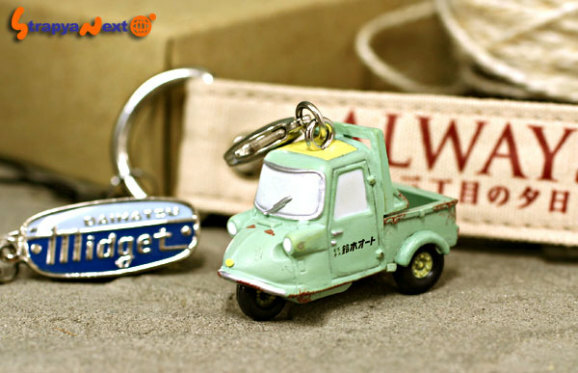 Ditto for the industrial green Daihatsu Midget cellphone charm which comes with an attachment chain, metal retro nameplate and a tan leather cellphone lanyard strap marked with the "Always" title logo in English and Japanese. How Can A Tumbleweed Prevent The Spread Of Deserts Across The World? Is The New Social Network Tsu An MLM?